The Better the Irrigation, the Greener the Roof. 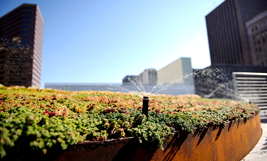 Selecting a green roof irrigation system depends on a number of variables including the purpose of the roof, water availability, and growing media. 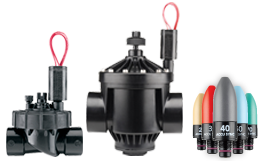 Hunter provides a leading selection of overhead and subsurface irrigation products proven to deliver efficient, reliable results. Below you will find a list of products that can be used to create the optimal irrigation system for any green roof, anywhere in the world. For more information, email us at greenroofs@hunterindustries.com. Irrigating from under the surface provides an array of benefits. 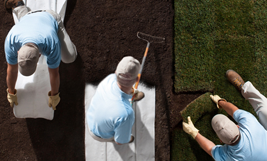 Hunter provides an efficient solution for any subsurface green roof application. Overhead green roof irrigation requires optimized efficiency. Our MP Rotators and sprays are proven to deliver in the harshest conditions. 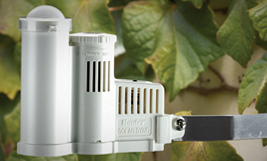 Sensors give irrigation controllers the ability to react to local weather conditions and guard against over or under-watering and dangerously low temperatures. 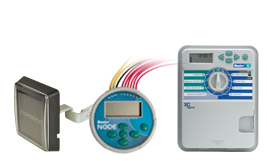 Hunter offers easy-to-use battery-operated controllers for sites that do not have a need for dedicated power. Add the Solar Panel for maintenance-free operation. 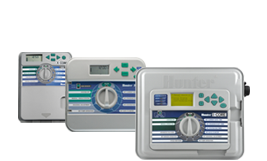 Hunter's rugged, dependable commercial controller line features a litany of advanced control options like real-time flow monitoring, seasonal adjustment, and non-volatile memory. Hunter offer multiple valve options for all water and site conditions that provide reliable performance for any size project.